Russia remains a country that is interested in meddling in other countries' affairs, particularly elections, U.S. State Department spokeswoman Heather Nauert said Tuesday. 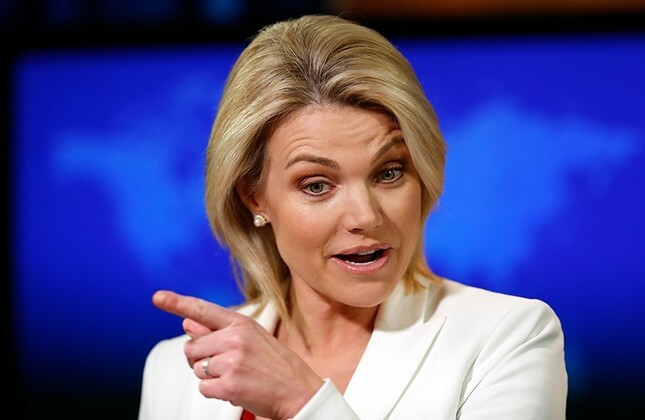 Nauert said the U.S. has seen Russian interference in Mexico, France and several European countries, and that Moscow is likely to continue its practices. "We can't say that the United States is going to be any safer from its election [meddling] as a result. Russia has long arms, Russia has lots of tentacles," she said, describing Russia as "a beast from the deep sea." Nauert's comments come amid mass expulsions of Russian diplomats from the U.S., EU and several other countries over the poisoning of former Russian spy Sergei Skripal and his daughter in the U.K. earlier this month. British Prime Minister Theresa May accused Moscow of being behind what she called an "act of aggression" against the U.K.
Russia, in turn, denied any involvement.